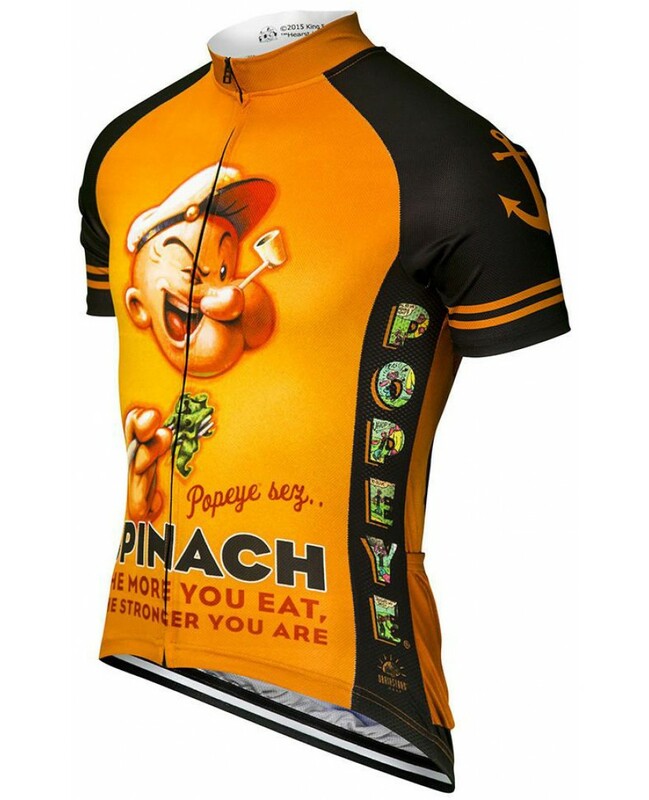 Strong, colorful, and unapologetic -- that's Popeye! 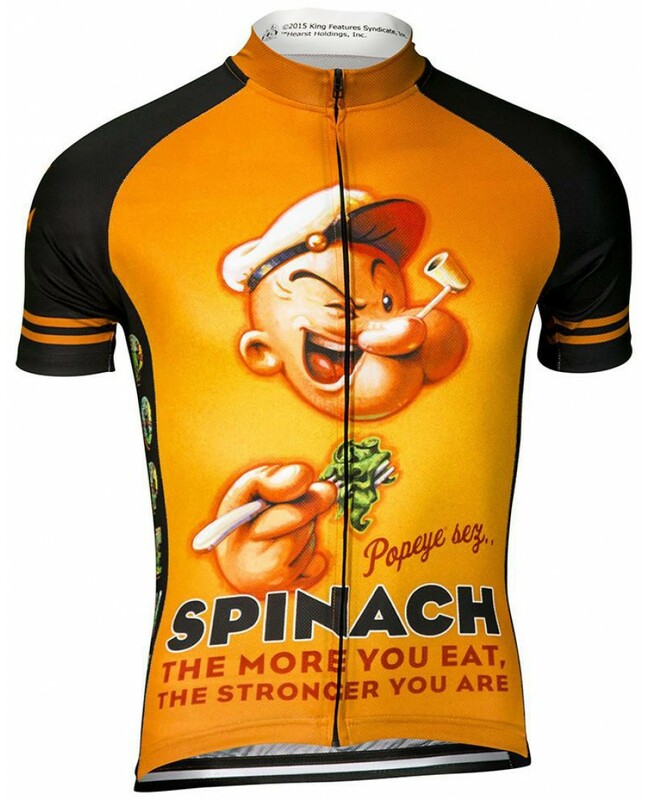 Celebrate who you are in this Officially Licensed performance jersey from Brainstorm Gear. Our technology helps you stay cool and comfortable on even the most demanding rides, so you can concentrate on being awesome! Full length Front zipper and three rear pockets for storage.